"My friend had made this recipe. Very tasty! Serve warm with baguette slices." 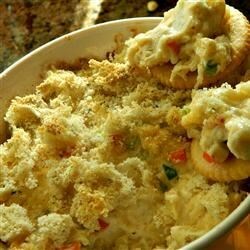 This dip was a huge hit at Thanksgiving. I will use this recipe again. Made it for my family Christmas Eve get-together. They loved it. Will definitely make it again. This was so great! My family devoured it and asked me to make more soon.